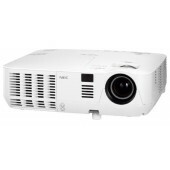 NEC M271X projector 3x0,63" p-Si/MLA, 1024 x 768, 2700 ANSI, 3000:1, Auto +/-30°, 26Db, 1,3-2,2:1, 10W, Lamp:10000 hrs, 2,9 kg. RJ-45, HDMI, D-Sub Output, USB Viewer, Carbon Meter (Nec)..
NEC projector M311X LCD, 1024 x 768 XGA, 3100lm, 3000:1, 2,99kg, HDMI, VGAx2, S-Video, RJ45, Lamp:10000hrs (Nec)..
NEC M271W projector 3x0,63" p-Si/MLA, 1280 x 800, 2700 ANSI, 3000:1, Auto +/-30°, 26Db, 1,3-2,2:1, 10W, Lamp:10000 hrs, 2,9 kg. RJ-45, HDMI, D-Sub Output, USB Viewer, Carbon Meter (Nec)..
NEC projector M311W LCD, 1280 x 800 WXGA, 3100lm, 3000:1, 3kg, HDMI, VGA x2, S-Video, RJ45, bag, Lamp:4000hrs(replace M300W) (Nec)..
NEC projector M361X LCD, 1024 x 768 XGA, 3600lm, 3000:1, 3 kg, HDMI, VGA x2, S-Video, RJ45, bag, Lamp:8000hrs(replace M350X) (Nec)..
NEC M260WS projector 3x0,59" p-Si/MLA, 1280x800, 2600 ANSI, 2000:1, Auto +/-30°, 27Db, 0.47 : 1, 10W, Lamp:6000 hrs, 2,9 kg. 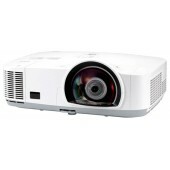 RJ-45, HDMI, D-Sub Output, USB Viewer, Carbon Meter (Nec)..
NEC M260XS projector 3x0,59" p-Si/MLA, 1024x768, 2600 ANSI, 2000:1, Auto +/-30°, 27Db, 0.47 : 1, 10W, Lamp:6000 hrs, 2,9 kg. 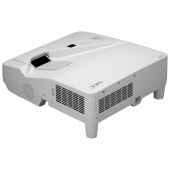 RJ-45, HDMI, D-Sub Output, USB Viewer, Carbon Meter (Nec)..
NEC V300W projector 1x0.55" DMD DLP, 1280x800, 3000 ANSI, 2000:1, +/-40°, 31Db, 1,95-2,15:1, 7W, Lamp:5000 hrs, 2,5 kg. 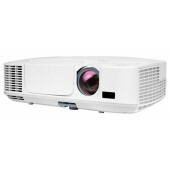 6s CW, RJ-45, D-Sub Output, 3D Ready, w/o Soft Case (Nec)..
NEC V260W projector 1x0.55" DMD DLP, 1280x800, 2600 ANSI, 2000:1, +/-40°, 31Db, 1,95-2,15:1, 7W, Lamp:5000 hrs, 2,5 kg. 6s CW, RJ-45, D-Sub Output, 3D Ready, w/o Soft Case (Nec)..
NEC projector UM280X LCD, 1024 x 768 XGA, 2800lm, 3000:1, 5,7 kg, HDMI, VGA, S-Video, RJ45, Lamp:6000hrs (Nec)..
NEC M420X projector 3x0,63" p-Si/MLA, 1024x768, 4200 ANSI, 2000:1, Auto +/-30°, 29Db, 1,3-2,2:1, 10W, Lamp:4000 hrs, 3,6 kg. RJ-45, HDMI, D-Sub Output, USB Viewer, Carbon Meter (Nec)..
NEC projector UM280W LCD, 1280 x 800 WXGA, 2800lm, 3000:1, 5,2 kg, HDMI, VGA, S-Video, RJ45, incl. wall mount, Lamp:8000hrs (Nec)..
NEC UM330X projector 3x0,63" p-Si/MLA, 1024x768, 3300 ANSI, 3000:1, +/-10°, 28Db, 0,36:1, 16W, Lamp:6000 hrs, 5,2 kg. RJ-45, 2xHDMI, D-Sub Output, USB Viewer, w/o Wall Mount (Nec)..
NEC M300XS projector 3x0,63" p-Si/MLA, 1024x768, 3000 ANSI, 2000:1, Auto +/-30°, 27Db, 0.47 : 1, 10W, Lamp:6000 hrs, 2,9 kg. 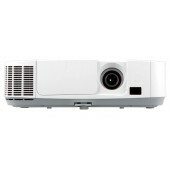 RJ-45, HDMI, D-Sub Output, USB Viewer, Carbon Meter (Nec)..
NEC M260W projector 3x0,59" p-Si/MLA, 1280x800, 2600 ANSI, 2000:1, Auto +/-30°, 27Db, 1,3-2,2:1, 10W, Lamp:6000 hrs, 2,9 kg. 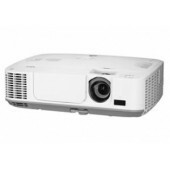 RJ-45, HDMI, D-Sub Output, USB Viewer, Carbon Meter (Nec)..
NEC M350XS projector 3x0,63" p-Si/MLA, 1024x768, 3500 ANSI, 2000:1, Auto +/-20°, 30Db, 0,47:1, 10W, Lamp:4000 hrs, 4 kg. 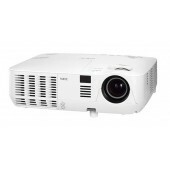 RJ-45, HDMI, D-Sub Output, USB Viewer (Nec)..
NEC M300WS projector 3x0,59" p-Si/MLA, 1280x800, 3000 ANSI, 2000:1, Auto +/-30°, 29Db, 0.47 : 1, 10W, Lamp:5000 hrs, 2,99 kg. RJ-45, HDMI, D-Sub Output, USB Viewer, Carbon Meter (Nec)..
NEC projector UM330W LCD, 1280 x 800 XGA, 3300lm, 3000:1, 5,7 kg, HDMI, VGA, S-Video, RJ45, wall mount, Lamp:6000hrs (Nec)..